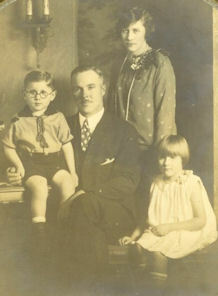 Harold Frederick Phillips (1894-1977), Oscar Frederick (O. F.) Phillips’ oldest son, grew up on his father’s ranch attending Dry Creek Grammar School (one room school), Healdsburg High School and U. C. Davis (Davis was a 2-year agricultural college at the time). Harold was due to graduate in the June 1917 class, but he volunteered for the Army in 1916 and served with the 144th Field Artillery, Battery C, known as the “Grizzlies”, the last all-volunteer outfit organized in California. He was sent to Tanforan race track on the Peninsula where they drilled with broomsticks and slept on the ground on straw-stuffed mattresses. Later, they were transferred to Camp Kearney near San Diego. When they received orders to go overseas, the men worked all night loading gear aboard boxcars. When finished, they were ordered to stand at attention for several hours in the cold wind and rain, resulting in his catching pneumonia which later developed into pleurisy. He lay near death for many months with many of his family members journeying to San Diego by train to visit. After many months, he recovered sufficiently to be sent home with a medical discharge and with the opinion of the Army doctors that he would be lucky if he lived six months. He lived to be 82! Marie moved to 5796 Dry Creek Road and O. F. moved to 6489 Dry Creek Road). Beginning in the late 1920’s, some of the land was converted to prune orchards although grapes were still grown and sold. In the 1930’s, they endured the hardships of the Great Depression by selling produce directly to markets in San Francisco, carrying a gun for safety in those hard times. 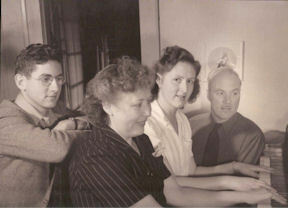 Patricia graduated from Healdsburg High School in 1939 and continued her studies at Santa Rosa Junior College. Her brother, Larry, enlisted in 1943 and was killed in a tank training accident during WWII in 1944. Harold actively farmed until 1946, when he was thrown from his horse and injured his back. 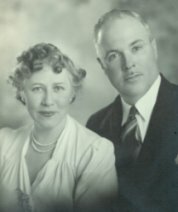 At that time, he opened an insurance office in Healdsburg, which he and Marie operated until 1957, when he retired. However, he oversaw the ranch with his son-in-law, Don Schmidt, until his death. In 1970, he purchased 20 acres from his cousin, Major Phillips (son of Walton). That portion adjoined property he already owned, both being parts of the original purchase made in 1856 by his grandfather, D.D. Phillips which enlarged the ranch to its current 75 acres of winegrapes.